Home Office annual figures report that animal experiments carried out in the UK fell by 5% in 2016. The statistics show that 3.94 million procedures were carried out in the course of scientific research - a fall of 206,000 on 2015. Some 51% of the total figure was accounted for by experiments and 49% relates to the breeding of genetically modified animals for research. A charity called on the government to curb "out-of-control" animal breeding. Troy Seidle of Humane Society International said: "We've witnessed this trend toward out-of-control breeding of genetically modified animals developing for more than a decade, and have repeatedly called on the Home Office to take action." Between 2007 and 2016, the number of procedures increased by 23%. The rise in breeding of genetically altered animals was largely responsible for the increase. Of the 2.02 million experimental procedures completed in 2016, the majority involved mice (60%), fish (14%), rats (12%), and birds (7%). As of 2014, the Home Office statistics contain information on the severity of procedures carried out on animals. This year, the majority of experimental procedures (46%) were classed as "mild". This compares with 51% of experiments being categorised as mild the previous year. The proportion of experiments classed as severe (6%) did not change compared with the previous year's figures. The procedures involving specially protected species, such as horses; dogs; cats; and non-human primates, accounted for 0.9% (18,000) of procedures in 2016. 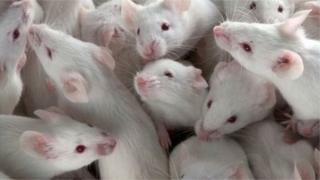 Dr Sarah Wells, director of the Medical Research Council's mouse genomics facility, the Mary Lyon Centre, said: "The management of colonies of genetically-altered animals is complex but we are developing increasingly sophisticated ways of breeding and genotyping them and preserving their eggs and sperm. "These efforts are reducing the number animals required for each experiment." Troy Seidle, senior director for research and toxicology at Humane Society International (HSI), said: "Ultimately, the best outcome for both science and animals is for our research effort to shift to cutting-edge humane alternatives, but in the meantime it's galling to know that the number one opportunity to curb the explosive growth in UK animal procedures is being all but disregarded year-after-year. "We've witnessed this trend toward out-of-control breeding of genetically modified animals developing for more than a decade, and have repeatedly called on the Home Office to take action. "Yet despite all assurances of the UK government's commitment to reducing the use of animals in labs, the numbers keep going up, rendering the government's current strategy a qualified failure." Dr Penny Hawkins, head of the research animals team at the RSPCA, said: "The significant, year-on-year increases in animal procedures after 2000 seem to have ended, and the overall number is now fluctuating around four million. "But it would be very wrong to allow this level of animal use to become 'normalised', because of the pain, suffering and distress involved." She said the RSPCA wanted to see "much more critical assessment of the value of various animal 'models' of disease and faster development and adoption of humane, non-animal alternatives".